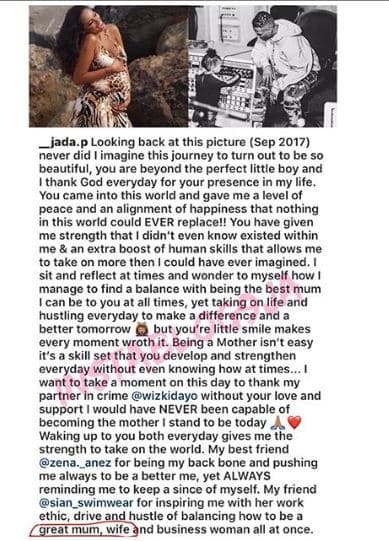 Wizkid’s manager and baby mama, Jada Pollock took to social media to pen down an emotional message to the singer for his love and support. 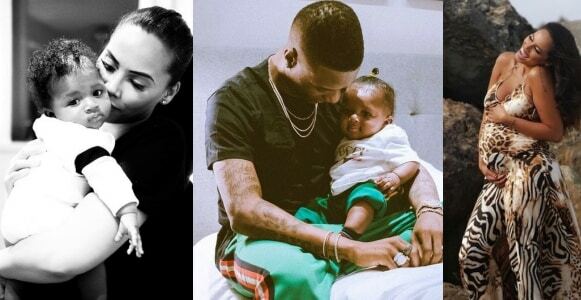 Sharing a photo to celebrate herself on mother’s day, she hinted on being secretly married to Wizkid. I want to take a moment on this day to thank my partner in crime @wizkidayo without your love and support I would have NEVER been capable of becoming the mother I stand to be today Waking up to you both everyday gives me the strength to take on the world. My best friend @zena._anez for being my back bone and pushing me always to be a better me, yet ALWAYS reminding me to keep a since of myself. My friend @sian_swimwear for inspiring me with her work ethic, drive and hustle of balancing how to be a great mum, wife and business woman all at once.